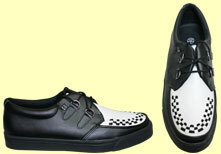 Retro shoes and creepers for rockabilly, swing, blues, punk or just to be cool! 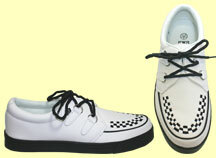 Daddy-O's is your source for rockabilly, swing, lounge and all around cool lookin' shoes! 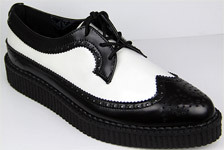 We carry retro wingtips, creepers, flame shoes and more all by such great designers as Stacy Adams, Giorgio Brutini, Tredair, TUK and Draven.